The Matakana Suite caters for up to two guests, enjoys wonderful sea views and has a king size bedroom opening onto a private patio. The Suite also has a spacious separate lounge where you can relax and enjoy the benefits of a home entertainment system complete with Sky Digital TV. Continental breakfast provisions are supplied. 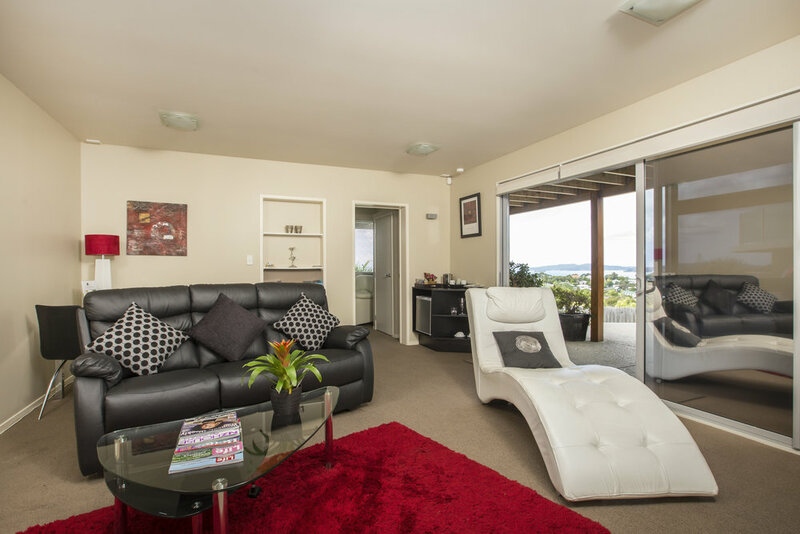 Click here to view images of the Matakana Suite accommodation and facilities.